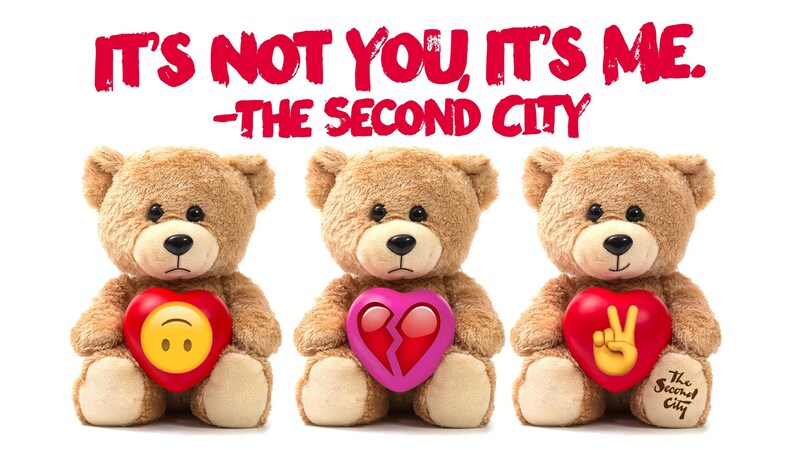 The Second City has been laughing at love and its infinite scroll of side effects for decades. They know “it’s complicated” and their latest laugh-inducing revue takes equal shots at heartbreak, missed connections and the inescapable mire of human relationships. Your friends, your parents, even your blind date will find something achingly familiar to laugh at, thanks to comedy’s newest generation of writers and performers! A Chicago landmark for nearly 60 years, The Second City’s legendary comic style has struck gold across the country with hilarious sketches, songs and improv. Now the world’s premier comedy club, theater and school of improvisation, they entertain over a million theatergoers a year around the globe, and have launched the careers of such comedic all stars as Tina Fey, Stephen Colbert, Steve Carell, Gilda Radner, and Bill Murray.